Reusable plastic tubes for transport of honey, peanut butter, anchovy paste, or other semiliquid foods. 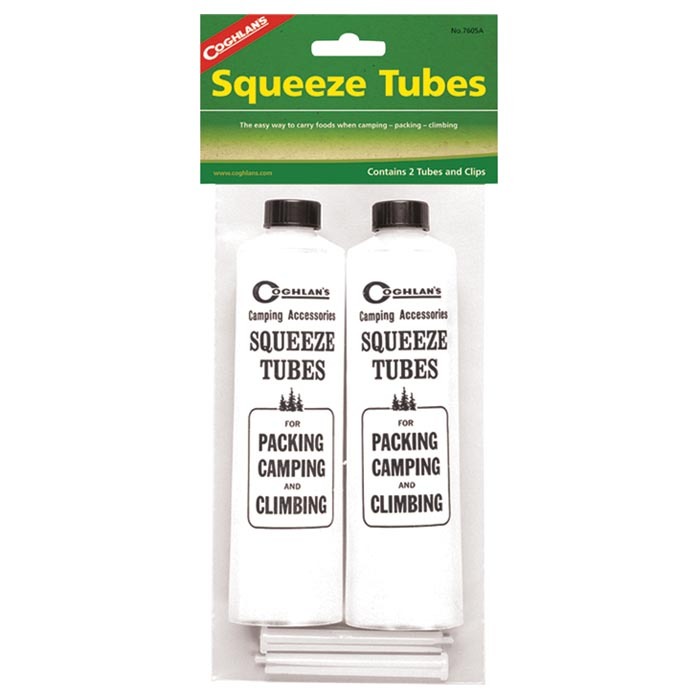 One tube weighs .7oz with clip. 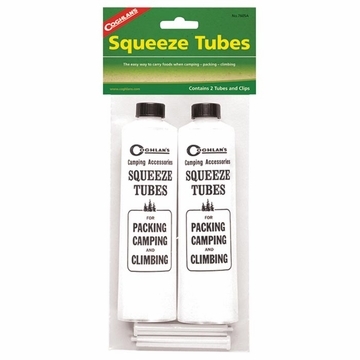 2 tubes/bag with headcard.